1. In your Canvas course menu, select Discussions. 2. Click the maroon +Discussion button at the upper right to create a new discussion. 3. The “Create new” screen will appear, allowing you to enter a title and topic/prompt for your new discussion. Beneath the text box for your thread prompt, you will now see a drop-down menu labeled Post to. 4. 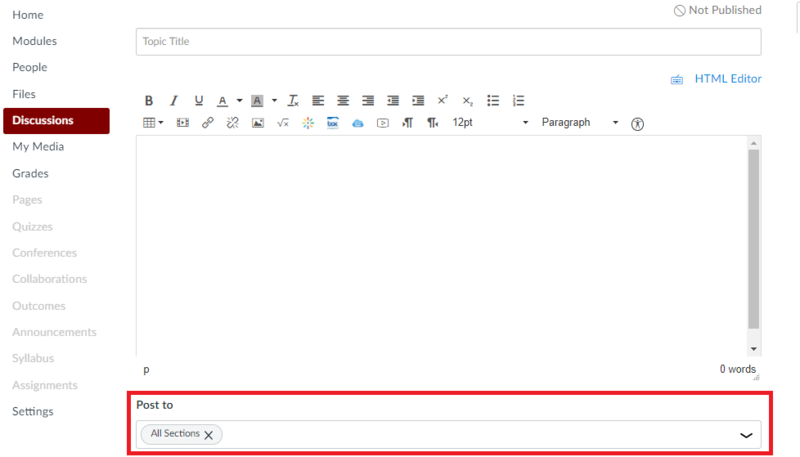 Once you have written your discussion title and prompt, click on this menu to open it. If your course has been divided into sections, you can choose which section(s) you would like to post the discussion to. The default is All Sections. Note that you can choose more than one section. To remove a section that you have previously selected, click the X by its name. 5. Remember to publish your discussion when you are ready for your students to view it. Note: Sections should not be confused with Canvas Groups. Sections in a Canvas course site can only be created by making a request to Canvas Support; they are used when an instructor needs to divide his/her students for administrative or grading purposes (for example, when different TAs will be grading different sets of students, or when a course has lab sections that are not officially listed as separate sections by the Registrar). Canvas Groups, on the other hand, can be created by the instructor at any time, and are typically used for assigning group projects. Even if your course site has not been divided into sections, you can still limit the number of participants in a discussion by dividing your students into Groups and creating Group Discussions. See How do I create a group discussion in a course? for more information. For detailed, step-by-step help on creating discussions in Canvas, see How do I create a discussion as an instructor? 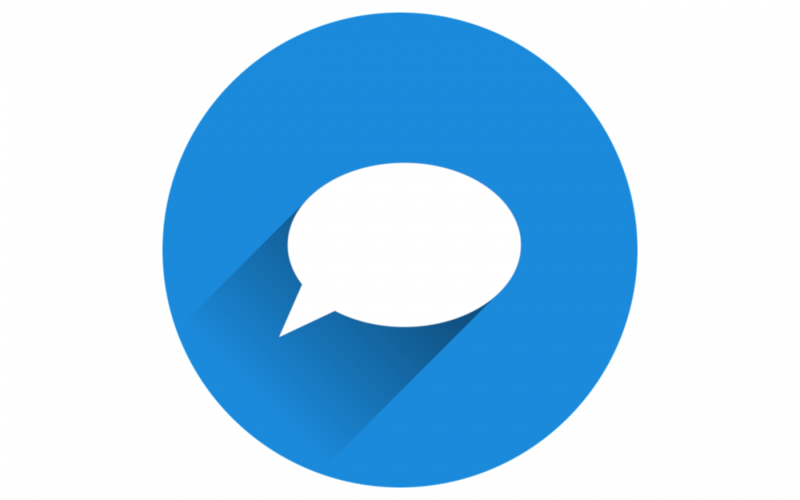 If you are interested in learning more about how to use Canvas Discussions as an effective pedagogical tool, or if you have other questions, Academic Technology Solutions is happy to help. You can attend one of our walk-in sessions held in the TechBar of the Regenstein Library (see our workshop schedule for upcoming sessions), or contact us for a consultation.